Do you have quilt tops that you would like to turn into functional or decorative quilts? We can help. Bring us your quilt top and desired backing fabric and we will be glad to quilt it with free-motion or use digital designs on our Platinum 3000 Long Arm quilting machine. Our store carries quality Warm and Natural batting and 100% cotton Signature quilting thread. 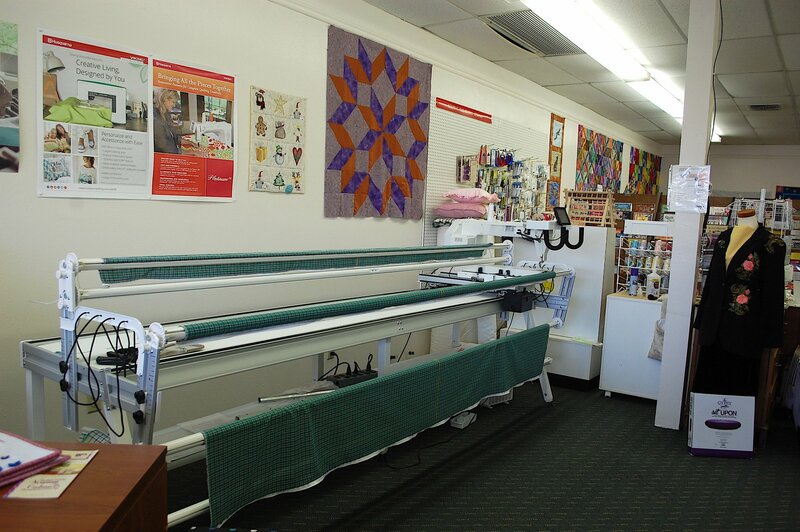 If you feel like doing the quilting yourself, our Platinum 3000 Long Arm quilting machine can be rented after 2-day certification training is complete (for first-time users/renters). Once you get certified, the machine can be rented any time as long as there is opening in the calendar. Please see details below on this page. Please visit our Gallery page to view our completed quilt projects.